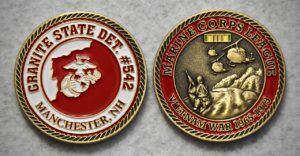 Get your Granite State Marines Vietnam War Challenge Coin today. There are only 300 made and this is the 3rd in our "War Series" that we produce annually. 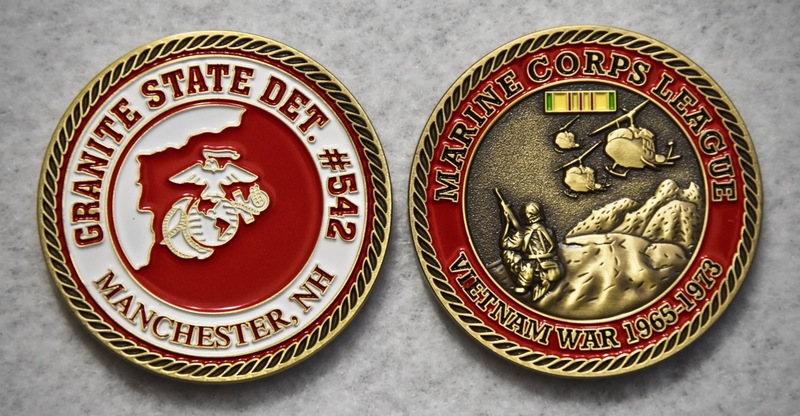 All proceeds go directly to support the various organizations, Marines and families we support. Please choose whether you will pickup your Challenge Coin at a monthly detachment meeting or have it shipped. If you choose "shipped", a shipping charge will be added at checkout. Order your Granite State Detachment Polo Today. 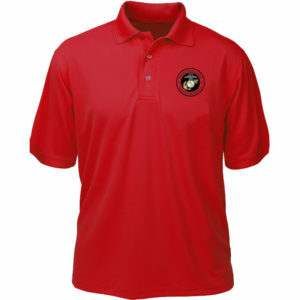 Polos are made in the USA and embroidered locally by our friends at Leatherneck4Life. Please choose whether you will pickup your GSD Polo at a monthly detachment meeting or have it shipped. If you choose "shipped", a shipping charge will be added at checkout. 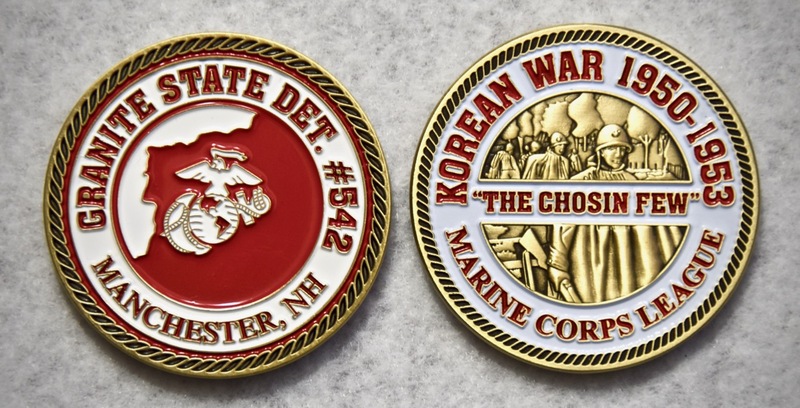 Get your Granite State Marines Korean War Challenge Coin today. There are only 100 made and this is the 2nd in our "War Series" that we produce annually. All proceeds go directly to support the various organizations, Marines and families we support.